Imperial Auto Renewal Famous for Quality! 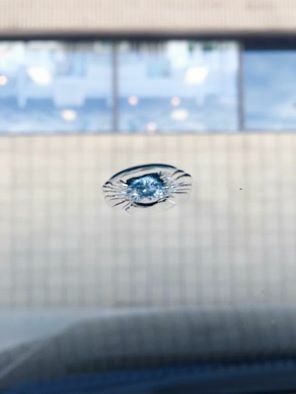 Windshield repairs are a cost-effective alternative that prevents small chips or cracks from becoming safety hazards. Imperial Auto Renewal follows the highest industry standards when reparing windshield. Clean the affected area to remove dirt and debris. Create a passageway for the repair resin. Inject the repair resin into the damage area and allow it to cure. Polish the resin so it leaves a clear finish. Safety - Windshield repair maintains the vehicle’s structural integrity and keeps occupants safer in a collision. Cost Effectiveness - It’s far less expensive to repair a windshield than replace it. Insurance Assistance - Your insurance company may cover the cost of a windshield repair and waive the deductible. Customer Convenience - Imperial Auto Renewal schedules repairs around your schedule. In general, repairs take less than an hour to complete. If your insurance policy covers the repair, our specialists will take care of the claim for you. Eco-Friendly Alternative - Windshields are difficult to recycle. When you repair yours, you keep it out of a landfill and reduce the demand for raw materials. Copyright © 2019 Imperial Auto Renewal. All Rights Reserved. Website Designed by Black Brick Software. Quality Automotive Body Shop Work! Serving Imperial, Wauneta, Benkelman, Grant, Madrid, and all of Southwest Nebraska.